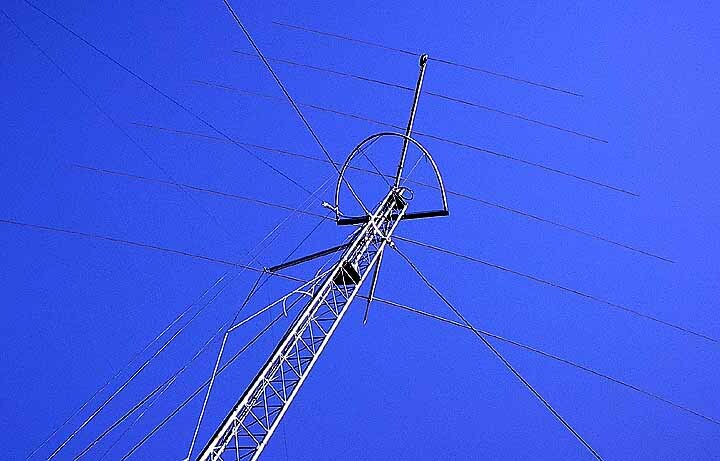 of his 160m linear loaded dual polarization antenna. 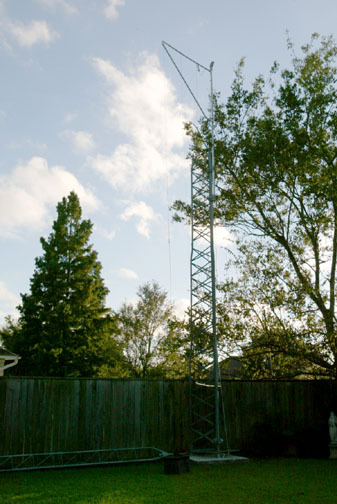 It is attached to a 58 foot Rohn 25G tower. 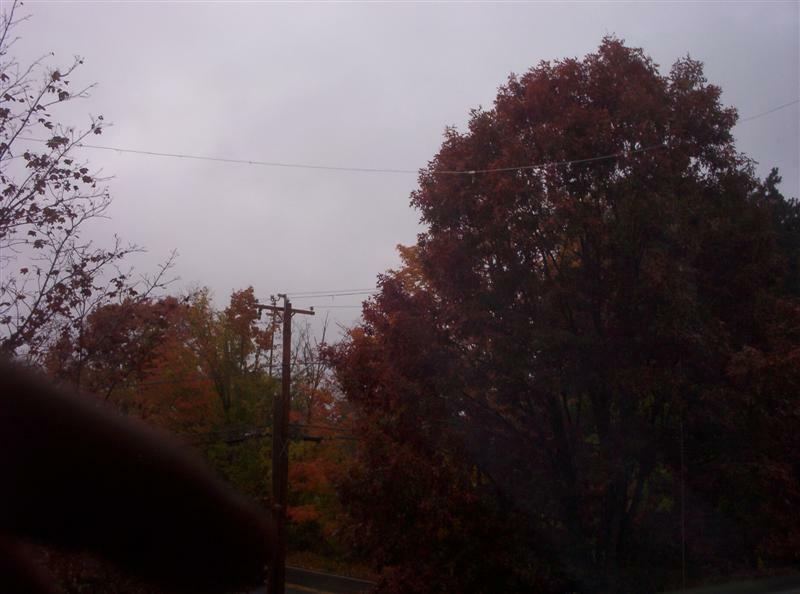 The vertical wire length is approximately 52 feet 9 inches. 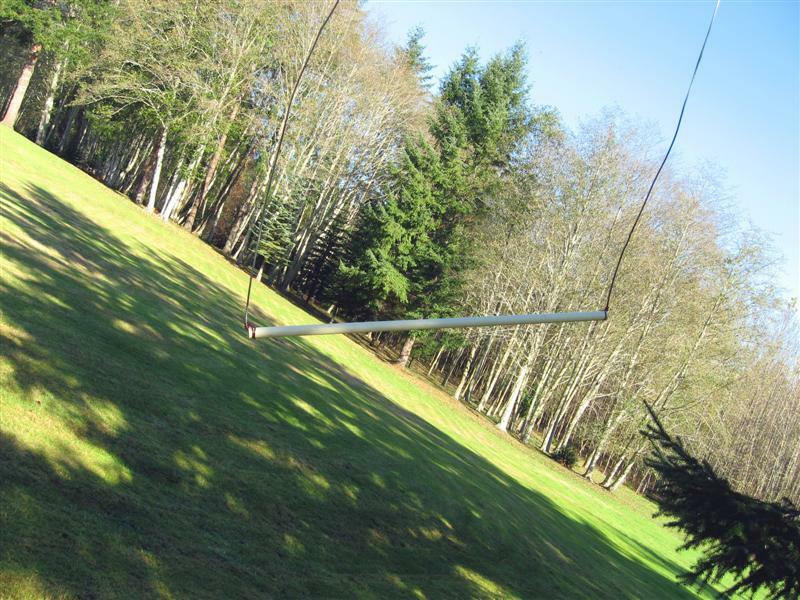 The horizontal length is 132 feet. Resonance is at 1840 khz at 56 ohms. 2:1 bandwidth is about 80 khz. Scott had the welding shop fabricate two 5 foot metal angles with sockets on each end to hold a 1" PVC conduit bend into an arch. Then he bolted the top bracket at the 38ft. level on his 40ft. tower, and the lower bracket 33ft. below. Then, attached the wires vertically. The 132ft. 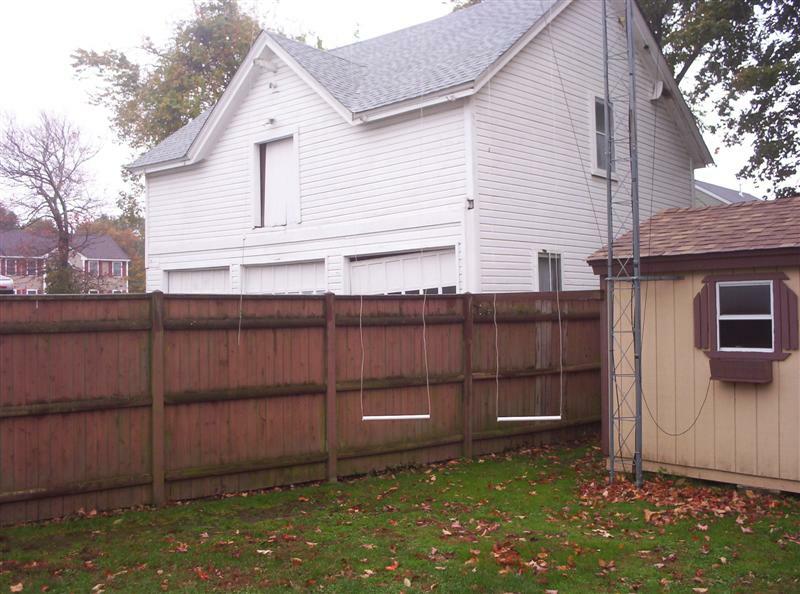 horizontal element was installed 38ft. above the ground. 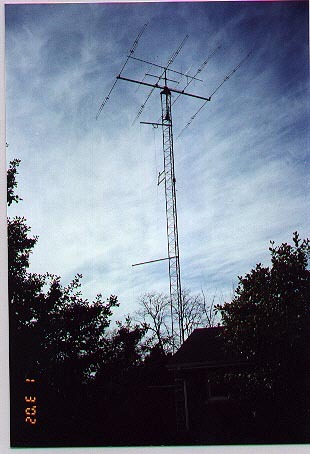 The vertical driven element was trimmed to 142' - 9 1/2", for a 1.4 to 1 SWR at 1.892 mhz. Photos by Mark Low N5LPT Here is Mark's 80m at 38ft. Here is Tom's 80m at 50ft. 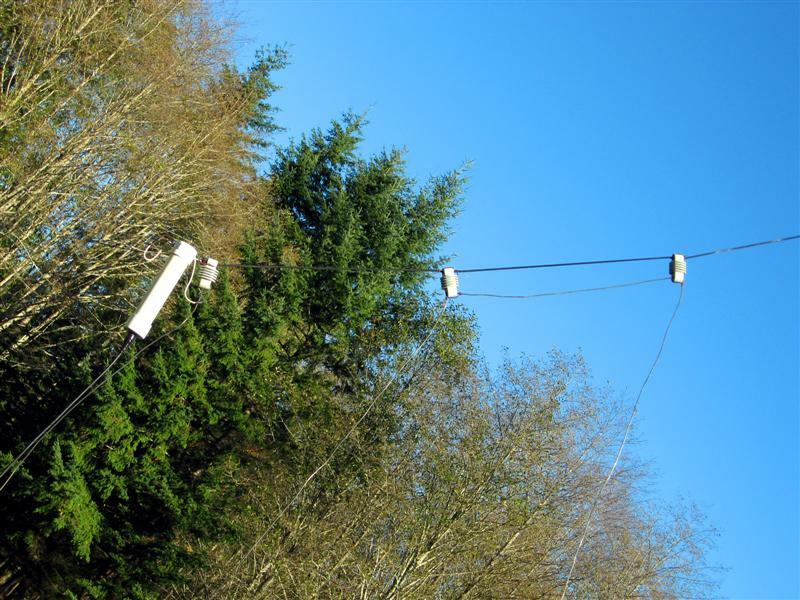 The 160 meter antenna uses a 1:1 current balun by DX Engineering. 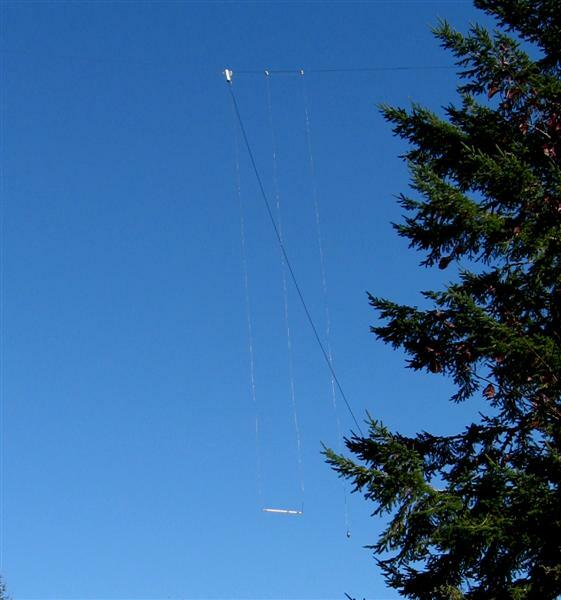 The line supporting the vertical leg portion of the antenna goes to the 98' elevation in a 140' fir tree. 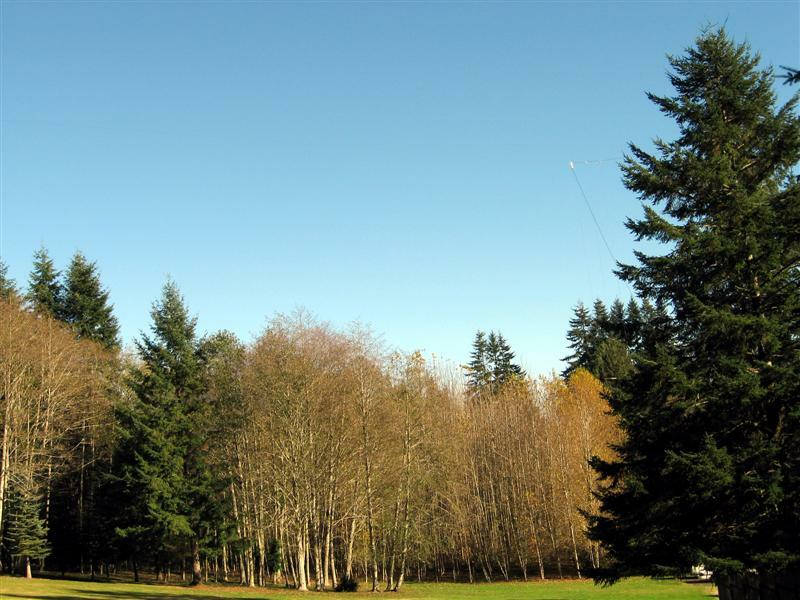 The horizontal leg is at 68' in a 90' fir tree. My 2:1 bandwidth is 110 khz + with my resonant point at 1840 khz. 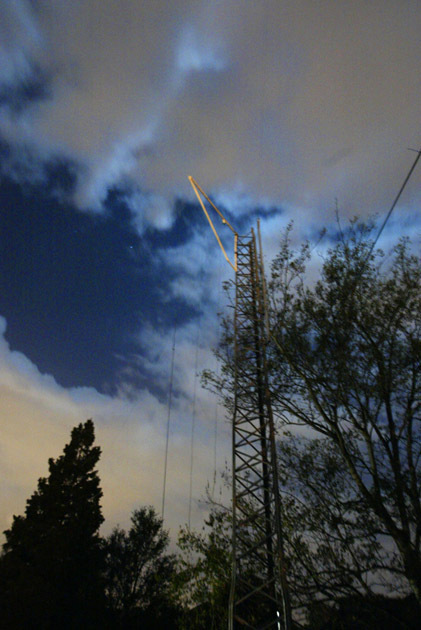 The 80 meter antenna uses a 1:1 current balun from Radio Works. 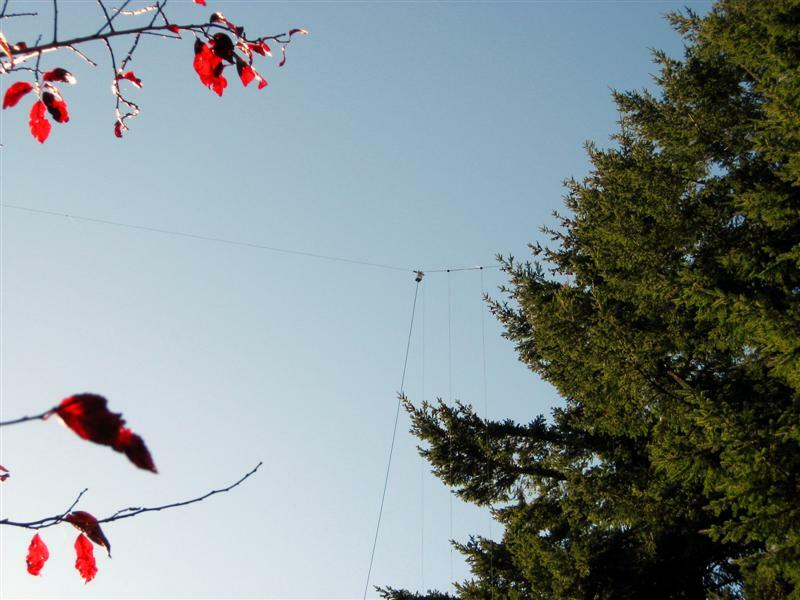 the line supporting the vertical leg portion of the antenna goes to the 65' elevation in, yes, another fir tree! The horizontal leg is at 55' in a cedar tree. Aulton says my design really works great. 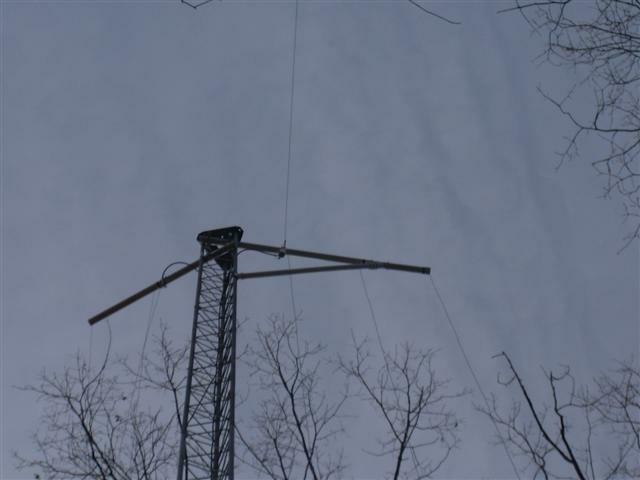 He has gotten some great signal reports, and that there have been many times that he could hear a very weak station, when others in the group can't hear them. Vertical element is 170ft. long. 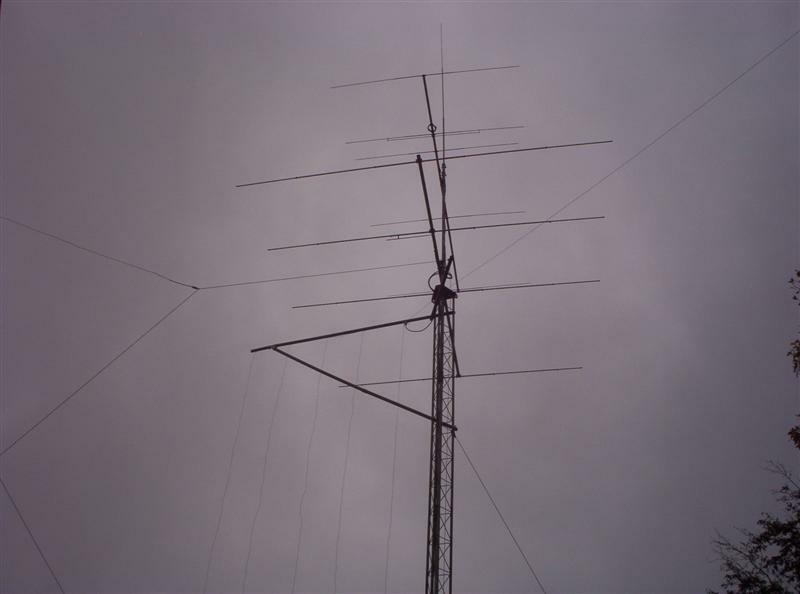 (lots of capacitive coupling with 10 and 6 meter yagis above) Horizontal 132ft. long. Resonant frequency is 1.880Mhz at 1.2:1 with 125 khz, 2:1 at edges. 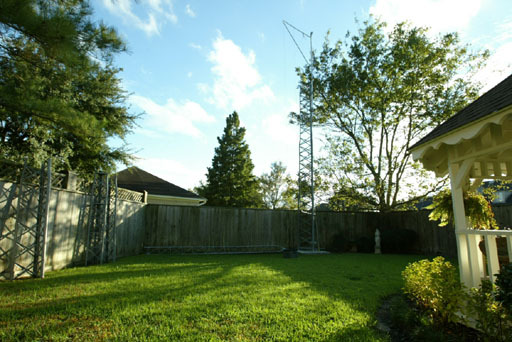 for how I build it with a pushup mast and PVC. 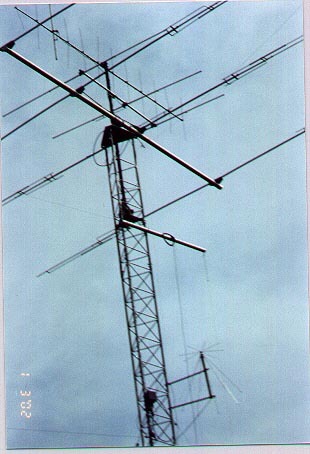 Lots of my radiofriends like to build this antenna too.